Find the cheapest prices for your cat or dog's favourite food in just a few clicks - just select from the options on the left, and press Search! We independently check prices from leading pet shops to find you the best deals! Save money with discount voucher codes and special offers from many online pet stores - all in one place! Find out more about pet insurance, and compare different policies to find the cheapest and best providers. 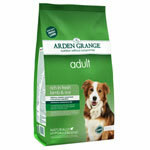 Are you fed up with spending too much money buying pet food for your cat or dog? 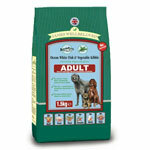 Just a few moments here using our pet food price comparison website could save you money! 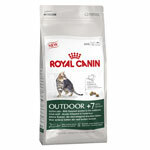 Every day, we compare the prices of hundreds of different cat and dog foods at the leading online pet stores to find you the best pet food deals. 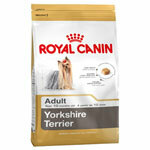 Now, thanks to PetMoneySaver.co.uk, finding cheap cat food, or cheap dog food is easily done in just a few seconds. In addition, we list a number of pet shop discount codes and special offers, so you can be sure you're getting the best deals on pet products online! We also have an in-depth Pet Insurance section, where you can find out about the different types of pet insurance policy available, and also compare pet insurance policies from different pet insurance providers to see which ones best suit your needs. Our blog also includes a number of interesting pet-related articles; including reviews of pet products such as water fountains, and articles on subjects ranging from pet health to interesting facts about pets. If you enjoy what you read on this website, then you can join us on our Facebook page, or get in touch on Twitter using the links at the top of every page.